If you are considering getting metal roofing, then there are some things you need to know before giving us a call to come out and install it. You first need to know the advantages and disadvantages that come with having metal roofing. Keep reading to find out more. Metal roofing can last from 40 to 70 years, depending on the type of material that was installed. When you compare that to shingle roofing which typically only last from 12 to 20 years, it’s easy to see why someone would choose metal roofing. Another advantage of metal roofing is that it’s extremely durable and can withstand even severe weather conditions, including gusts of wind up to 140 miles per hour. It also is resistant to corrosion, cracking, and dents caused by impact. Because metal is non-flammable, you don’t have to worry about your roof catching fire if it gets struck by lightning or if there are sparks nearby. This can also help you save money on home insurance because it’s non-flammable. 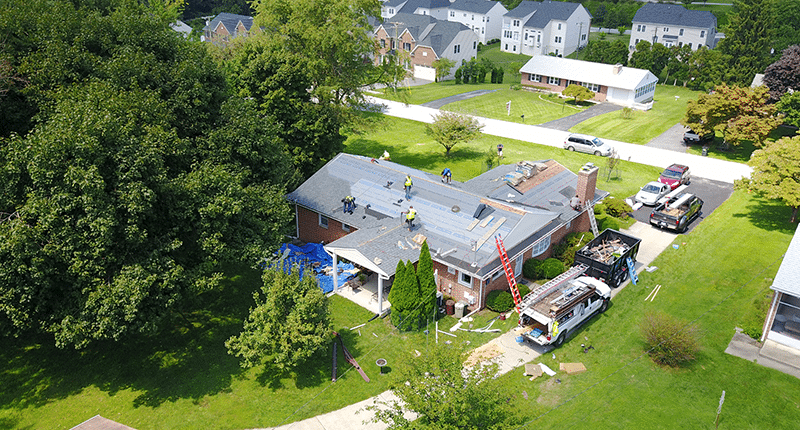 Especially in the summer, metal roofing can help reduce your home’s energy costs as it reflects solar heat and can lower the amount you have to pay on your cooling costs by anywhere from 10 to 25 percent, helping you save every summer. Both the installation and the removal of metal roofing can help the environment. Metal roofs are made of anywhere between 25 and 95 percent recycled materials, plus when it comes time to replace them, they can be recycled, helping to avoid contributing to the 20 billion pounds of building waste every year. Today, there are a wide variety of options when it comes to choosing a metal roof. You can not only choose between the type of material used, but you can also choose a specific style and a color that makes metal roofing a great competition against other roofing options. Despite the money you can save by having a metal roof, it is costly to install, which means before you buy, you need to consider how long you’ll be in that building so you can know whether or not it’s going to be worth it to install metal roofing. 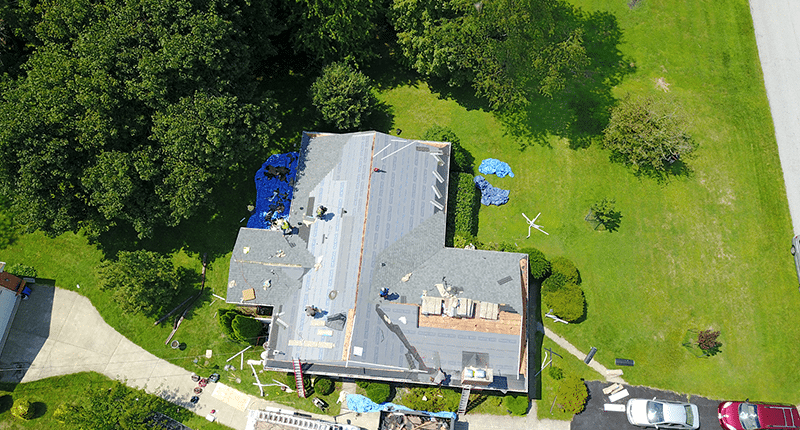 Although you can certainly install insulation beneath the metal roof to help solve this problem, metal roofing is notorious for being loud, especially during heavy rains. However, depending on where you live and how you are planning to use the building, you may need to install insulation anyway. If metal roofing isn’t installed properly or if low-grade materials are used, then you can run into some performance problems as metal roofing needs to be able to expand and contract with temperature changes, and can become damaged over time with water accumulation. Fortunately, if you choose Four Seasons Roofing to install your metal roofing for you, then you don’t have to worry about poor installation techniques as our experts have years of experience with installing metal roofs. You also can go into getting metal roofing without fear of poor materials being used as we only use the highest quality of roofing materials from the best manufacturers to ensure that every roof we install is done correctly and will last even longer than it’s supposed to. Call Four Seasons Roofing to set up a consultation and inspection to discuss your metal roofing needs today!